This year our forums are coming together for a supermeet; Esprit, 2Eleven and Evora with 250 people attending a weekend extravaganza in Norfolk. Saturday 17th October - Visit our hotel which is about 4 miles from the factory, check in and freshen up ready for a huge fund raising visit to Cromer on the north Norfolk coast where we'll rattle tins and be met by local radio/papers etc. After this we'll return to the hotel for evening grub in our exclusive 250 person marquee for the charity auction, raffle, fun and games. Bar's open 'til late. 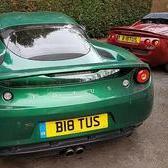 Sunday 18th October - En masse 150+ Lotus convoy to the Lotus Factory where we'll enjoy a great day. Events will include; Track 'parade' laps in your car, road drive in an Evora (every person can have a go! ), Factory Tours, shop visit, ASO auto jumble, styling talks from Russell Carr/Steve Crijns, technical talks from Rob Savin/Roger Becker, Evora track demonstration laps, Classic Team Lotus cars, Evora development story, Lotus product displays, Lotus workshop, Lotus Sport and more. Lunch will be included and there will be beauticians on site to offer treatments to those not quite so interested in the cars, a family event! Goodie bags for all attendees and more! The 4* luxury hotel is offering a huge discount on rooms, it's a beautiful venue and I'll post details for the reservations number and codes shortly, we've even negotiated 10% off the bar prices!!! Tickets will be offered firstly to those who wish to attend the whole weekend and are limited in numbers. If we don't have enough weekend attendees then we'll offer Sunday only tickets but this is unlikely. *Please note that the Sunday only tickets will be available shortly however priority is being given to those who will be attending all weekend. 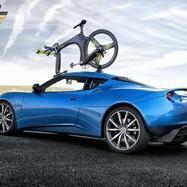 Hi - can you just confirm that the 15 mins road drive in the Evora is in the driver's seat, or is it as a passenger? Driving it! It would be a bit rubbish offering an Evora experience without giving you the chance to have a go! Thanks - I thought that was the case but just wanted to be 100% certain before I negotiated a pass out for the weekend! my girlfriend is under 25, so can I have her 15min Evora drive added to mine pls ? Re the Ts and Cs: "You must be over 25 years of age to ..... take part in the parade lap with your own vehicle." My 15yo lad is keen to come along too - he's not planning to drive my Lotus (! ), but before I buy a ticket for him, I just wanted to check that he was OK to take part in the parade lap as a passenger? Also, it looks like we can only make the Sunday - approximately what time will the convoy will be setting off for Hethel? Can somebody tell me if there is a minimum age limit for the event or hotel - obviously not expecting the 8yr DS to participate in the Evora drive as a driver, but he may accept being strapped to the roof - joking.... honestly.....this time ), but he would like to come/be dragged along. Has anyone received their tickets yet? I ordered mine a couple of weeks back, got the email acknowledgement, but nothing since. If you're coming along to the frolic and wish to stay at the hotel, please try to book before Friday as the hotel are releasing our rooms back to the public then. The first batch of tickets have been posted today. So, who from here is coming along? It's the weekend after next, tickets are still available! still awaiting delivery date to see if i am coming. Was at the factory on Monday and saw my car in the final line of 'quality control / checking' just one car from the front, so very close to the exit door (i hope). If you don't get it, you can come along and drive someone else's! What time are we gathering at DH on Sat, for convoy on Sun, approx finish on Sun etc? I'm planning on dropping in at Strattons on Sat am, so trying to work out if I travel up Fri night or Sat am. We're still waiting for the council to confirm Saturday, will most likely be 1.30 in the car park @ Dunston to leave at 2pm for Cromer. 7.30 in the car park on Sunday for an 8am leave, the tickets show what time we should be arriving. Should be there until 5pm. There will be an info pack posted before the event. Noticed on the ticket that arrival at Lotus on Sunday is between 7.45am & 8.30am. As we're staying at another hotel (& breakfast isn't til 8am), do we have to join up with the convoy or can we make our own way to Lotus & if we're a little late will we still be able to get in ? Well what a fantastic day! I thoroughly enjoyed it from start to finish: from the convoy in, to the "access all areas" factory tour, track laps in my Elan, 45 mins talk from Russell Carr on exterior and interior Evora styling, not forgetting the highlight: the Evora test drive - I want one! And then a packed goody bag full of Evora merchandise to take away. A big thanks to all the organisers, especially the Lotus volunteers on the day who were all incredibly helpful. same here, very impressed by Lotus staff and setup. did anyone snap a pic of the Scura? Sounds like you all had fun. So what is a Scura? Scura is the limited edition Exige S 260 being launched at Tokyo. Matt black & carbon fibre - very stealthy. Couldn't be bothered with the Dunston Hall event on Saturday, had too much to do and see at Riverside, so gave it a miss and considered the prepaid tickets a contribution to charity. You missed the best bit! Had I known you wouldn't be coming we'd had put your pie and champagne in the collection bucket. Your ticket paid for food and drink for you, we order this in advance so none of your ticket cost goes to charity if you don't turn up.